As Book 2 of the Finding Billy Battles trilogy opens, Billy is far from his Kansas roots—and his improbable journeys are just beginning. He is aboard an ocean liner sailing to the Mysterious East (Japan, Hong Kong, French Indochina, and the Philippines), among other places. The year is 1894 and aboard the S S China Billy meets a mysterious, dazzling, and possibly dangerous German Baroness, locked horns with malevolent agents of the German government, and battled ferocious Chinese and Malay pirates in the South China Sea. Later, he is inadvertently embroiled in the bloody anti-French insurgency in Indochina–which quite possibly makes him the first American combatant in a country that eventually will become Vietnam. Later, in the Philippines, he is thrust into the Spanish-American War and the anti-American insurgency that follows. But Billy’s troubles are just beginning. As the 19th century ends and the 20th century begins, he finds himself in Mexico and Europe entangled with political opportunists, spies, revolutionaries and an assortment of malicious characters of both sexes. How will Billy handle these people and the challenges they present? 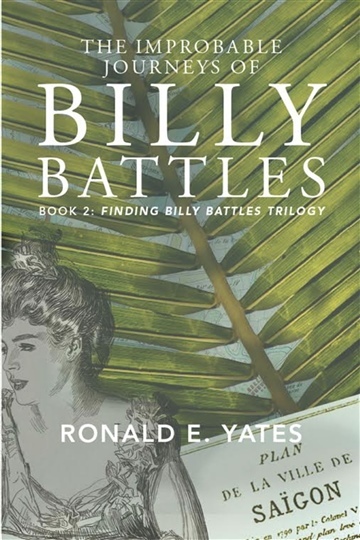 Ronald E. Yates is an award-winning author of historical fiction and action & adventure novels, including the popular and highly-acclaimed Finding Billy Battles trilogy. His extraordinarily accurate books have captivated fans around the world who applaud his ability to blend fact and fiction. His award-winning book, "The Improbable Journeys of Billy Battles," is the second in his Finding Billy Battles trilogy of novels and was published in June 2016. 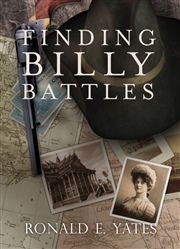 The first book in the trilogy, "Finding Billy Battles," was published in 2014. His latest book is entitled The Lost Years of Billy Battles is book #3 of the trilogy with an anticipated publication date in early 2018. Ron has been a presenting author at the Kansas Book Festival and the Los Angeles Times Festival of Books, among other venues. He is also the author of The Kikkoman Chronicles: A Global Company with A Japanese Soul, published by McGraw-Hill. Other books include Aboard the Tokyo Express: A Foreign Correspondent's Journey through Japan, a collection of columns translated into Japanese, as well as three journalism textbooks: The Journalist's Handbook, International Reporting and Foreign Correspondents, and Business and Financial Reporting in a Global Economy. His work as a war correspondent resulted in several awards, including the Inter-American Press Association's Tom Wallace Award for coverage of Central and South America; the Peter Lisagor Award from the Society of Professional Journalists; three Edward Scott Beck Awards for International Reporting, and three Pulitzer nominations. 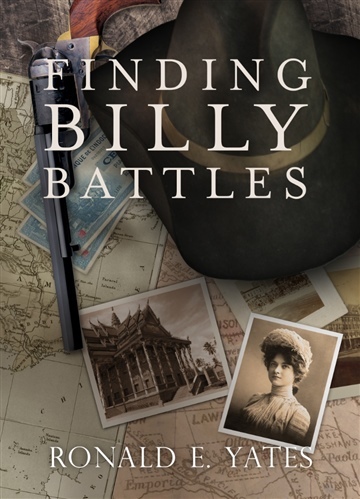 The Improbable Journeys of Billy Battles is just as powerful a read as its predecessor, Finding Billy Battles, taking readers on a realistic and compelling journey from Kansas to the wider world and bringing with it the subtle nuances, emotions, and feel of the late 1800s. Unlike the first book, however, this one takes place far from the Kansas world Billy operated in, and follows his far-reaching journeys which begin in 1894, with Billy sailing to the Far East in the firm clutches of dangerous associates. Revolution and turmoil are in the air; and with Billy at the eye of the storm, a rollicking good read is the result: one highly recommended for fans of not just Westerns, but compelling historical action stories. D. Donovan, Senior Reviewer, Midwest Book Review.